Louisville and Chris Mack appear to be an ideal pairing. For now, the college basketball coaching carousel has slowed and most of the major jobs have been filled. How did your team do, if you’re a fan of a program that had a head coach opening to fill? Should you be happy or disappointed with your school’s new coach? Under the best of circumstances, this would be a good choice. Considering the mess Louisville is navigating through, it’s a home run hire. The Cardinals are in desperate need of stability. They (finally) have a permanent school president, permanent athletic director and now a permanent basketball coach. For a while, the Cardinals were leading the nation in interims. Mack (215–97, an Elite Eight) built on the success of Xavier after Sean Miller left for Arizona in 2009. He’ll be charged with continuing Pitino’s success. He has all the resources necessary at his disposal. Plus, the unknowns of the FBI scandal will give him a built-in excuse if the Cardinals struggle early. No one knows what future punishment may come. In the meanwhile, expect Mack to mine the transfer market for immediate help. Louisville fans will have to be patient and that patience could pay off down the road with a 48-year-old coach. In a few years, the ACC could look considerably different with aging superstar coaches like Mike Krzyzewski (71), Roy Williams (67) and Jim Boeheim (73). Dan Hurley (113–82) knows tough jobs. He won at Wagner and Rhode Island. This will be a different kind of challenge. Hurley reportedly turned down a more lucrative deal from Pittsburgh. In terms of pedigree, Pitt (one Final Four appearance in 1941) and UConn (four national championships) are at opposite ends of the spectrum. However, due to conference realignment, the UConn job isn’t what it used to be. The Huskies are in the American Athletic Conference and that has had a negative effect on its recruiting footprint. There are rumors that UConn is fighting to get back into the Big East. The would be a huge upgrade and help vault the Huskies back into being a national power. Until that time comes, Hurley should be able to mine his East Coast connections to improve recruiting. The NYC area has a ton of talent. However, convincing city kids to go north to Storrs isn’t always an easy sell. That’s why Jim Calhoun was a miracle worker. The Southeastern Conference is finally taking basketball seriously. It had a conference-record eight NCAA bids this past season. Five of its current coaches have Final Four experience, the latest being Tom Crean. Crean is a solid coach. He guided Dwyane Wade-led Marquette to the 2003 Final Four. He revived Indiana from NCAA sanctions to a No. 1 seed in the 2013 NCAA Tournament. 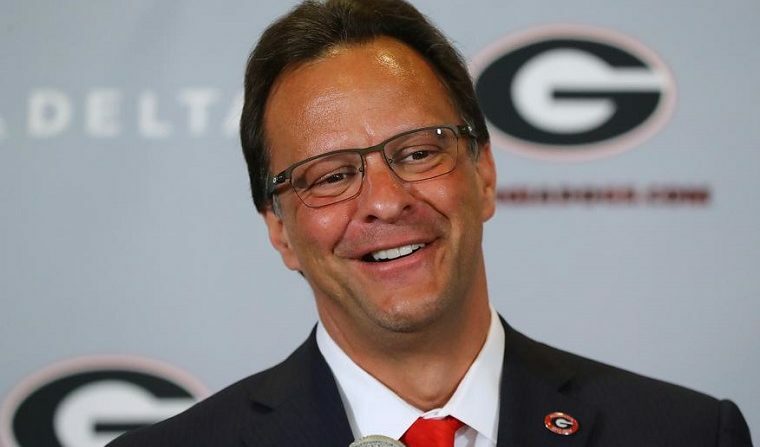 Crean was fired from IU because he didn’t win enough. The expectations at Georgia will be considerably lower. Georgia stuck with Mark Fox for nine years and he had just two NCAA appearances and no tournament victories. That’s extreme patience. Georgia is a weird job. There is plenty of nearby talent in Atlanta. However, a lot of competent coaches have been unable to lure big-time recruits to Athens. The only coach who had any noteworthy success there was Tubby Smith. In two seasons, he had two NCAA appearances, including the program’s last Sweet 16 (1996). Crean’s biggest strength is that he developed overlooked players and helped turn them into stars (Wade at Marquette and Victor Oladipo at IU). If he can find another diamond-in-the-rough, the Bulldogs could have success). This is another program which has been adversely affected by conference realignment. The Panthers were a nice fit in the Big East. In the ACC, it’s been tough. The program also set itself back years with the terrible hire of Kevin Stallings. Stallings was almost universally panned and the critics were right. Last year, Pittsburgh was the only team in the nation without a victory over a conference opponent. Capel will be an immediate improvement because he can’t do any worse than Stallings. Capel, 43, is a solid but not necessarily spectacular coach. He’s had two head coaching stints, at VCU and at Oklahoma. He got the Sooners to the Elite Eight, thanks to Blake Griffin. But other than that 32-8 record in 2008-09, Capel was 66-63 at Oklahoma. He had been Duke’s assistant head coach since 2011. The Mike Krzyzewski coaching tree doesn’t have the best track record. However, for Pittsburgh, this is a decent hire. Oh, boy. This is a huge gamble. The last program to hire a former NBA star and alumnus without any previous college or NBA coaching experience was Chris Mullin in 2015. He’s 38-60 at St. John’s. In 1998, Houston brought back favorite son Clyde Drexler. In two seasons, he resigned after going 19-39. Hardaway, 46, does have some advantages. He has been a high school coach in the Memphis area and if things go according to script, he will likely be able to mine his connections to take advantage of the local talent. One interesting twist is Hardaway trying to convince his Memphis superiors to let him hire serial NCAA offender Larry Brown as his coach. Brown is a Hall of Fame coach. He also has committed NCAA violations at all three of his college stops (UCLA, Kansas and SMU). Should Memphis hire Larry Brown as the 3rd assistant? In the best-case scenario, Hardaway will at the very least make Memphis nationally relevant for the first time since John Calipari left in 2009. Worst-case scenario? The Tigers lose games and run afoul of the NCAA. Few major-conference programs have a basketball history more unremarkable. The Rebels have won a grand total of five NCAA Tournament games and been to the tournament only eight times. Andy Kennedy was responsible for two of those victories and two of those appearances. That was over a span of 12 years. We’ll see if Davis can do better. He spent 16 years at Middle Tennessee and it wasn’t until the final seven that he started to have significant progress. Davis, 58, could have stayed at Middle Tennessee for life after leading the Blue Raiders to NCAA Tournament victories over Michigan State and Minnesota. In Oxford, he’s taking a chance at what has been historically a bad job. For Ole Miss, this might not be an improvement over Kennedy. Xavier went the safe/smart route by promoting its longtime assistant. Steele is the third straight former Xavier assistant to move up the ranks, following Sean Miller and Chris Mack. The Musketeers hope that Steele will have similar success. The 36-year-old has been with the program for nine years, but is also young. Steele should be able to keep Xavier on the right path and has been a key recruiter. He has already made a big impact by landing Division II transfer Zach Hankins from Ferris State. The Division II national player of the year led his team to the national championship. As a grad transfer, he’ll be immediately eligible. Rhode Island also stayed in-house by promoting its assistant. Cox, 44, has been an assistant since 2006 at four different schools. He was also the interim head coach at Rutgers when Mike Rice was suspended for three games for abusive behavior towards players in 2012. Serving as Dan Hurley’s assistant for four years, Cox now has his first full-time coaching gig. It will be tough to top what Hurley did over the past two seasons (51-18).